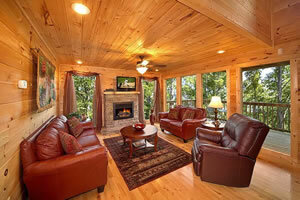 Description - Gatlinburg Cabins Offer the Perfect Setting! Gatlinburg TN is a popular vacation spot due to its seclusion and beauty. Surrounded by mountains, high ridges rising up on all sides, Gatlinburg Cabins provide you with privacy, allowing you to fully enjoy the majestic beauty of nature. Our Gatlinburg Cabins offer a variety of locations to give you the choice of seclusion, amazing views, and convenience. Choose a budget cabin for a great price, or go all out with a level of luxury that defies any preconceived notions you might have had of "roughing it" in any of our Gatlinburg Cabins. Gatlinburg Cabins, Pigeon Forge Cabins, Sevierville Cabins, Great Smoky Mountain Cabins, all offered here! 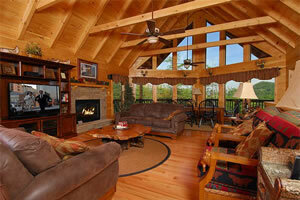 In addition to Gatlinburg Cabins, we offer an excellent array of Pigeon Forge Cabins and Sevierville Cabins. 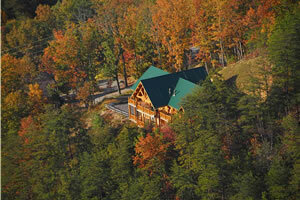 With Timber Tops you will find over 300 Luxury Log Cabins all in the heart of the Smoky Mountains. 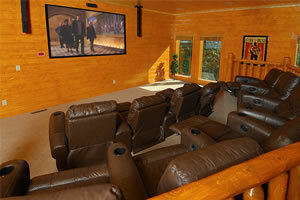 Timber Tops Luxury cabin rentals offer top of the line amenities such as hot tubs, Jacuzzis, saunas, spas, private indoor heated pools, pool tables/game rooms, Internet facilities, and an extensive range of entertainment facilities, such as home theater systems, plasma TVs, PlayStation, electronic dartboards, and media rooms. Looking for a rental cabin at a budget price, check out our Budget Cabins we offer cabins at unbeatable Prices! Timber Tops offers log cabin rentals in the resort locations of Starr Crest, Smoky Ridge, Black Bear Ridge, Wild Briar, Eagle Crest, Hidden Lakes Estates and Hidden Springs Resort. Gatlinburg Cabin locations include Ski Mountain, Sky Harbor, Gatlinburg Chalet Village. Additionally, you can find our Pigeon Forge Cabin Rentals in Rainbow Ridge Resort of Governor's Crossing.